Seagull Schools has been proudly serving Hawai'i as a private, non-profit corporation since 1971. Since then, Seagull Schools has thrived on growth and response to community needs for early education. Today, Seagull Schools has an enrollment of over 900 children at centers located in Kailua, Kapolei, Ko Olina, Ocean Pointe, and Downtown Honolulu on the island of Oahu and at the Mauna Lani Resort on the island of Hawaii. The Seagull School at Kapolei also provides adult day services for frail older adults or persons with disabilities. By mixing the care for 240 young children and 50 older adults, a curriculum has been developed where children and seniors come together for their mutual benefit. Seagull Schools has long had a strong community presence. We established Hawaii's first center-based infant/toddler daycare program and have a history of providing services to families of all income levels. We have been a model collaborator with businesses and other nonprofits and are nationally recognized as pioneers in the development of intergenerational programs where children and seniors come together for their mutual benefit. Today, all five of Seagull Schools' sites are in well-designed, beautifully landscaped facilities. The schools have depended on community support to help reach each stage of growth. Since its beginning, over $12,000,000 has been raised for tuition assistance and capital projects. The Seagull Schools' staff has grown to 180 full-time and 40 part-time employees. The executive director, Chuck Larson, was listed as one of "North America's 50 Most Experienced Center Directors" in the December 1996 edition of "Child Care Information Exchange" magazine. He has overseen the school's growth and development since its' beginning in 1971. Chuck Larson is the co-founder and executive director of Seagull Schools. He has a Bachelors Degree in Primary Education and a M.Ed. in teaching exceptional children. He is a past member of the Kailua-Waimanalo Community Education Coalition, the Honolulu County Commission on the Status of Women and the State Committee to develop new licensing regulations for infant/toddler care. 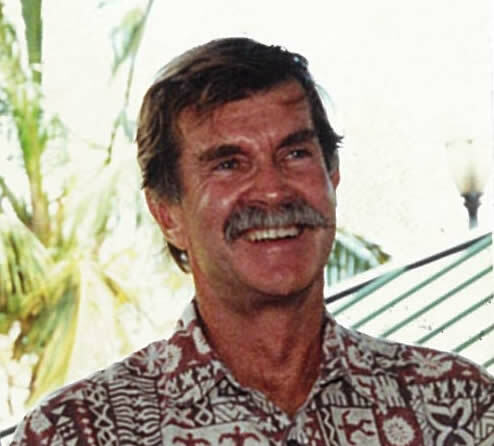 He is also a past secretary for the Polynesian Voyaging Society and served as a crew member on the Hokule'a. He currently serves as the president of the Hawaii Intergenerational Network, and is an active member of the Child Care Business Coalition. He is also active in the intergenerational field through his writings and lectures, and has previously served as a validator for preschools applying for accreditation from NAEYC. In his position as executive director, he has had oversight in designing and developing the Seagull Schools facilities at Kapolei, Ocean Pointe and Ko Olina. In May 2007 he was awarded the KOA (Kapolei Outstanding Achievement) Award for Entrepreneur of the year. As a previous member of the Hawai'i's Early Learning Council he represented the private sector child care centers. In his spare time, he enjoys hanging out with his family at the beach in Waimanalo where he lives, socializing with his friends and neighbors, kayaking, biking, and playing volleyball.